Lonnie Mack is an American singer-songwriter and guitarist. Signed to Capitol Records in the late 70s, Lonnie Mack made a brief return to recording with two albums both released in the same year. 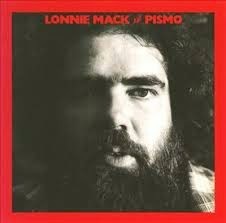 After the country-flavored Home At Last, Lonnie Mack & Pismo was something of a return to blues-rock. Indeed his flashy electric guitar playing featured prominently for the first time since the 60s. The band Pismo consisted of keyboard player Stan Szelest, bassist Tim Drummond and drummer Ian Wallace. Guitarist David Lindley also made a guest appearance. The album was no doubt welcomed by those who missed Mack in his role as an electric guitar slinger, but it lacked any truly memorable songs. 1977 turned out not to be quite the comeback it could have been - that would have to wait until the 80s. Not his strongest but becoming difficult to find. Thanks for posting.